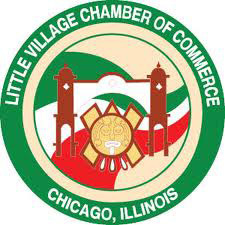 Executive Director of the Little Village Chamber of Commerce Jaime di Paulo, executive Director of the Crece Foundation Jorge Linares, and Executive Director of Crece ABC Jose L. Aceves are the panelists who will present and talk about the new service. The meeting will take place at LVCC headquarters located at 3610 W. 26th St. Ste. 2 in Chicago. To RSVP, call (773) 521-5387 or email vanessa@littlevillagechamber.org.